Similar to a lot of my recipes, this came about by wanting to use 2 particular ingredients. I thoroughly enjoyed them & my 2 year old devoured 4 of them in a row. They may look a little prettier using white tahini, but tasted so good! 2. Throw all ingredients in a food processor until well combined. 3. Line a container w baking paper. **keep refrigerated, especially in the Sydney summer! If anyone knows or remembers ‘Sesame Snaps’, they taste exactly like them, but much healthier. 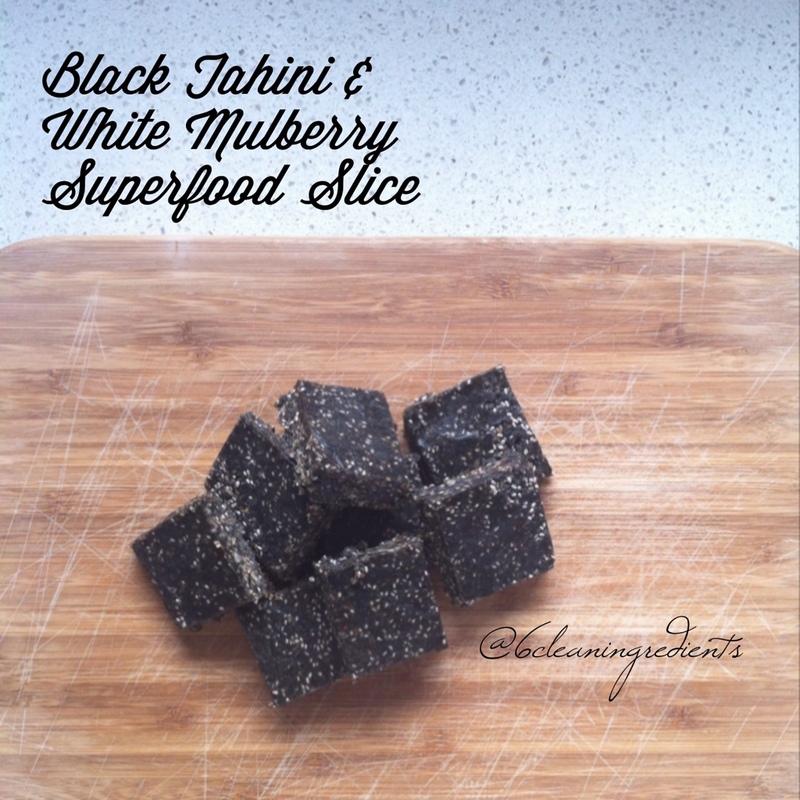 This entry was posted in Recipe and tagged 6cleaningredients, almondmeal, chiaseeds, childfriendly, cleaneating, dairyfree, driedmulberries, glutenfree, healthyeating, honesttogoodness, iqs, iquitsugar, mayvers, mulberries, nobakerecipe, plantbased, plantbasedfoods, rawvegan, refinedsugarfree, sugarfree, vegan, whitemulberries by 6 Clean Ingredients. Bookmark the permalink.